Minecraft helped Pennington learn Swedish so he could better communicate with Stjernfelt and his other friends and now he thinks it could help people learn Elfdalian. “Most language learning methods it involves some rote memorization” he explained. If you've taken a foreign language class you know the drill—flash cards with pictures and labels, constant practice, and repetition. Minecraft, instead, offers virtual immersion, which is a much better way to learn. 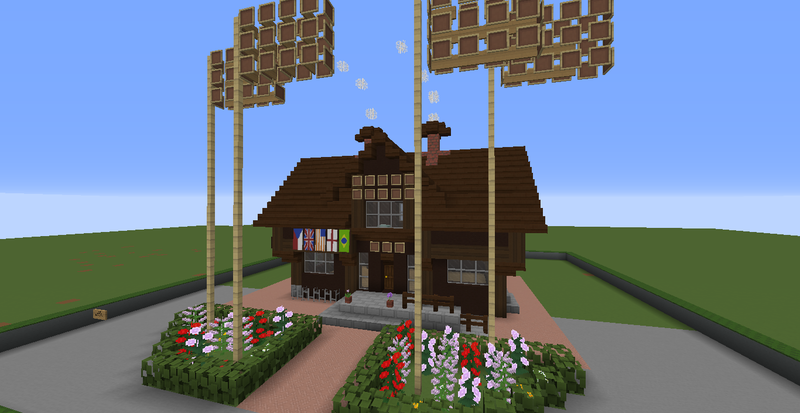 The Elfdalian village of Älvdalen in Minecraft is complete with quests designed to help players learn about the culture as well as the language. “We plan to have one where the player goes to help out in one of the summer pasture farms, and another where they are tasked with picking up items from a grocery store,” Pennington said.